The Hadramis of South Yemen and the emergence of their diasporic communities throughout the Indian Ocean region are an intriguing facet of the history of this regions migratory patterns. In the early centuries of migration, the Yemeni, or Hadrami, traveler was both a trader and a religious missionary, making the migrant community both a "trade diaspora" and a "religious diaspora." This tradition has continued as Hadramis around the world have been linked to networks of extremist, Islamic-inspired movements-Osama bin Laden, leader of Al Qaeda and descendant of a prominent Hadrami family, as the most infamous example. However, communities of Hadramis living outside Yemen are not homogenous. 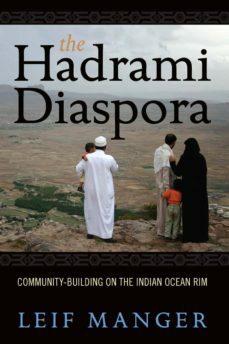 The author expertly elucidates the complexity of the diasporic process, showing how it contrasts with the conventional understanding of the Hadrami diaspora as an unchanging society with predefined cultural characteristics originating in the homeland. Exploring ethnic, social, and religious aspects, the author offers a deepened understanding of links between Yemen and Indian Ocean regions (including India, Southeast Asia, and the Horn of Africa) and the emerging international community of Muslims.